We rent kayaks and stand up Paddleboards tax free at Delaware Paddlesports! 2019 Rental and Tour Info! Delaware Paddlesports is located at 17296 Coastal Hwy Lewes, DE 19958. We provide tax-free kayak and stand up paddleboard rentals. Please call us at 302-645-7300 for more rental info! * We Deliver!! Call 302-645-7300 for options! * Rental Fees deducted from KAYAK/SUP purchase within 30 days! * Rental Fees include Paddle and PFD. 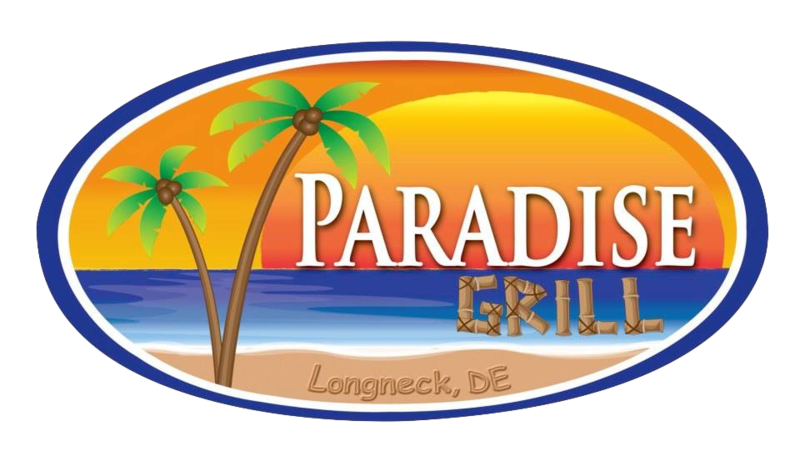 We also have a rental location at Paradise Grill in Longneck Delaware! Our Paradise Hours are 11am-5pm starting Memorial Day Weekend. This paddle is a great way to kayak or stand-up paddleboard some amazing spots around the Delaware Beaches while enjoying nature and meeting fellow paddlers. To setup please email Chris@delawarepaddlesports.com or call 302-645-7300. Minimum 3 people to schedule tour. This is a great way to demo a Jackson, Hobie, Nativewatercraft Ocean Kayak, Or Old Town fishing kayak! Price - $90 includes kayak, paddle, pfd, and delivery. Guided tour and instruction by Delaware Paddlesports fishing team paddler! Note: Please have a Delaware Fishing License and above price does not include guide gratuity. $40 kayak/SUP - $65 tandem kayak Please Note you cannot bring you own equipment on this tour. This is one of our most requested paddles and there are a million reasons why. There is nothing better than paddling while watching the sunset over the Rehoboth Bay. ****Please Note you cannot bring you own equipment on this tour. SUP INSTRUCT: Always wanted to try Stand-Up Paddleboarding? Now’s your chance! Our SUP instructor will show you the basic strokes and get you comfortable on your board while having fun. SUP COMBO: Had a blast? Of course you did! Join us for our SUP tour for a discounted combo rate! SUP TOUR: Jump on a board and let’s SUP! We’ll paddle some great spots around the Delaware Beaches while enjoying nature and meeting fellow SUPers. All of our paddles are tailored for both novice and experienced kayakers alike. We also provide private kayak and SUP instruction, please contact us for details. All paddle lengths are estimates only and are weather dependent. Evening paddle start times will fluctuate with the sunset. Tour cancellations may occur. ASK ABOUT OUR KAYAK FISHING TOURNAMENT SERIES!